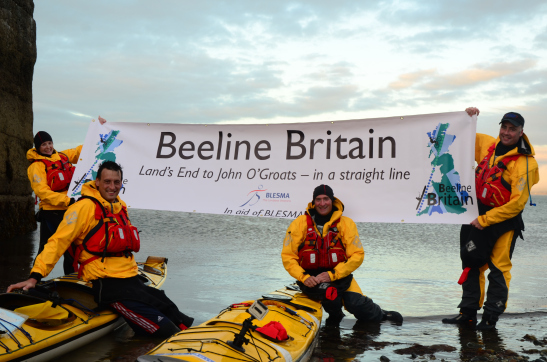 From the 16th May 2014, for 5 weeks I will be personally supporting the Beeline Britain Team, this is a First attempt; First ever Land’s End to John O’Groats in a straight line. This strong team of four includes a serving RAF Aircrew, a serving Army Captain and Team GB Paralympian, a professional kayak coach and the youngest British woman to summit Mount Everest. All will bring their own expertises but each will also face their own challenges along the way (Nick has no legs and Tori is 5′ 1” tall!). The journey will be completed by sea kayaking, hand bike/road bike and a section of mountaineering over the Cairngorms plateaux, one of the most exposed mountain ranges in the UK. Find out more on the link below. Be Boulder – Climbing Wall & Gym. Logo made for a example by Thomas Lynch. With freelancing; jobs range from all over the United Kingdom, but recently over the past 4 months I have been working for a company called BeBOULDER. We have a few new items we are going to share our thoughts with. 7. Mitchell Blades 3 types. 8. Mountain Equipment Trojan Hooded jacket.